Sugar, Spice, and everything Rice...or so the story goes. 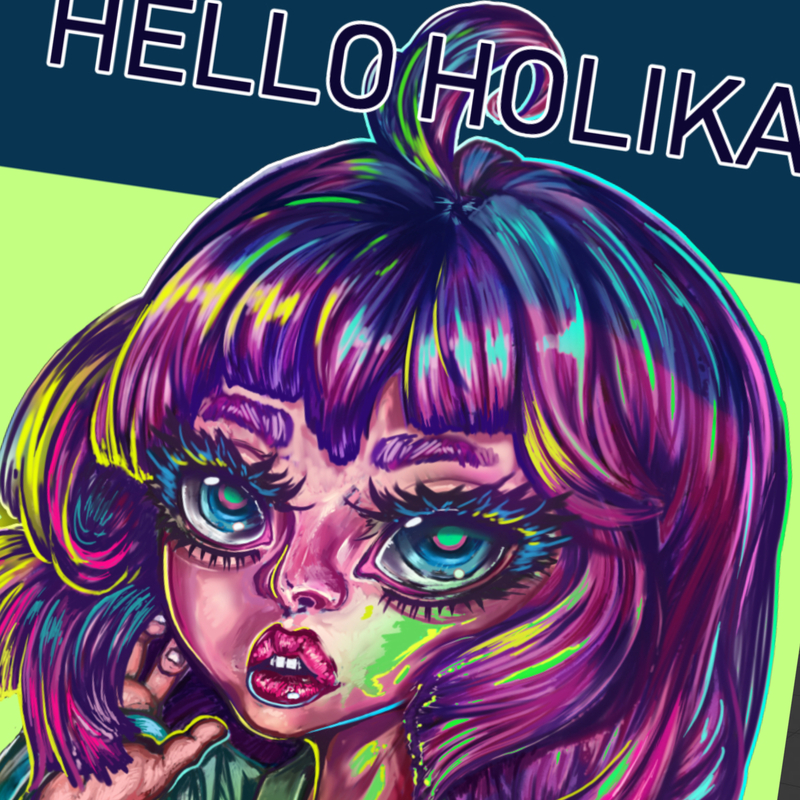 Hello Holika is a oneshot comic that takes place on an island named Julie. On a gloomy morning, high school student Geo Holika Cerebelle meets a disoriented monster. Where did it come from? and What does it want? She decides to help out of its misery and soon discovers there are more living in her classroom. Not all are fair, there are the unfriendly. To take them out she will need the help of her classmates. While monsters feast on her classmates she discovers their repulsion for milk tea.